Happy day! I hope you all had a great Thanksgiving weekend and that your turkey hangovers are wearing off. We hosted a slew of people on and off for the last four days and then dove back into some laundry room projecting so it was definitely a good mixture of fun, relaxation and a little work tossed in there too. But now it is time to really start thinking about Christmas and the New Year! Time to pull out the Christmas Tree, count down the days, drink endless cups of cocoa, decorate, shop, give, party, cook and bake... sigh... Just typing it all makes me a little exhausted. In the past I would try and be an over-achiever and "do it all", but I really wasn't enjoying the season and just found myself stressing and by Christmas morning I was almost too tired to see straight. It completely took away from the whole point of this time of year and after a few years in a row of over-committing, I had a reality check. Especially being so deep in the world of blogging with Pinterest-pretty decor around every corner, it is easy to fall down that "be all the things" trap. With that in mind, Megan's tips today are spot on! I love her perspective for heading into the season with priorities in check. I would really love for you to chime in at the end and share how you be sure to really soak in these final days of the year as well. Hi lovelies! I hope your holidays are off to a wonderful start! We have extra reason to celebrate this year with the addition of our adorable nine month-old daughter, Jordan. Especially since I had her later in life, it makes me all the more thankful for her and our son. I'm sure the holidays will be extra special with her, even though we might have to keep the lower half of our Christmas tree ornament-free from little hands! I've also found going from one kid to two seems to make it harder for me to get things done around the house, so holiday planning early is a must! 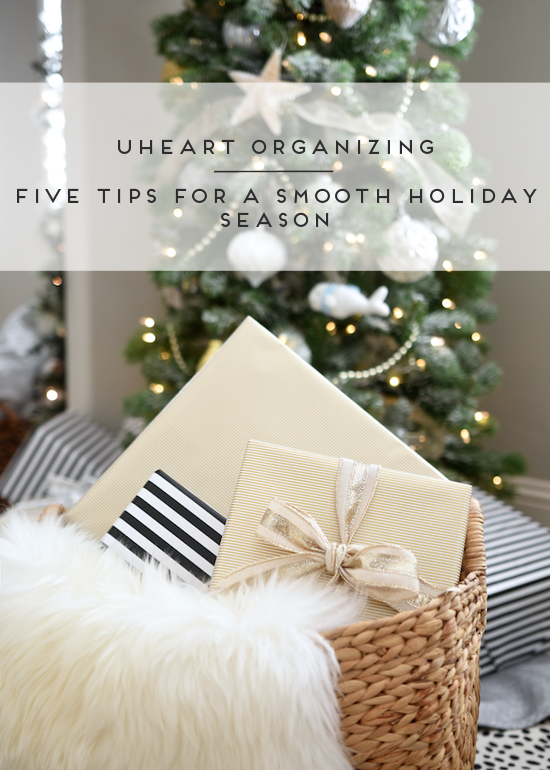 For my sanity, and maybe yours, I put together a list of 5 Ways to Make the Holidays Run Smoother. This post could also be titled, "How to Not Lose Your Mind During the Holidays" because, let's face it, it's easy to go nuts this time of year! 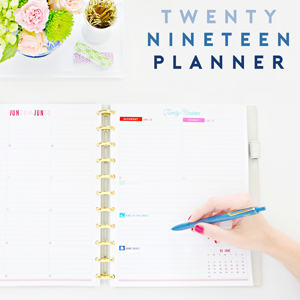 Of course, planning in advance is really key to keeping things in control, but you already knew that. In an ideal world, our gorgeous family Christmas photos would have been taken in September, our cards ordered in October, and our presents already chosen by Thanksgiving. All that would be left to do is put up the tree and sit back and relax and enjoy the season! In real life, at least mine, it's not like that! We still haven't taken Christmas photos, let alone chosen a card, and I still need to make our gift list. But, we do have one room fully decorated, so that makes me feel ahead of the game! But where do you start if you're starting now? 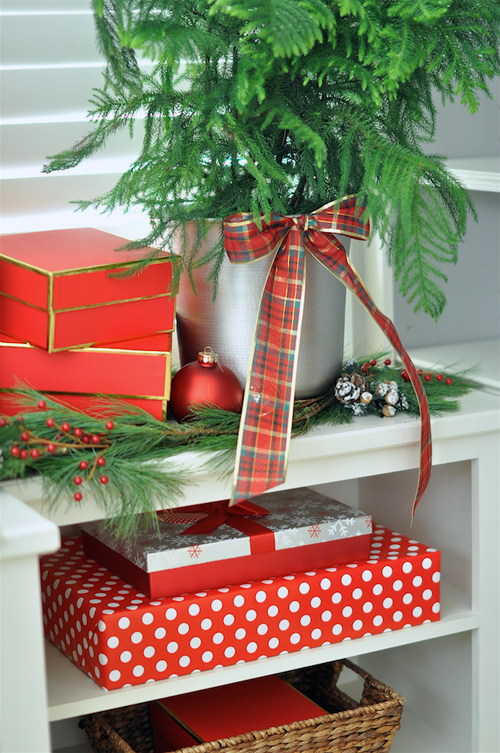 How can you truly enjoy the holidays and make the most of this time of year without stressing? 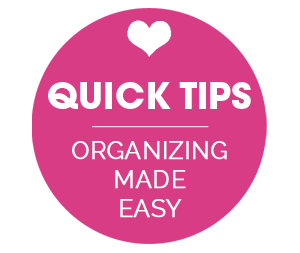 Below, I offer 5 Tips to help! Of course, we want to "enjoy" the holidays, but only you can decide what that means for you and your family. For me, it certainly means being together, doing a few 'special' things throughout the month of December, attending parties and mingling with friends, hosting Christmas dinner, giving gifts to family and friends with a heartfelt note attached, decorating our home, and giving to families in need. But that's a lot right there, so I also need some days where we don't have anything planned, 'bed days' as my 6 year-old calls them. A day where we stay in pajamas and get in bed with books, toys, magazines and hot cocoa and just chill. If you don't stop to consider what's important or the most "enjoyable" for you and your family, you might spend your time being busy with lots of things that don't really give you much joy. After you've decided what's really important to you, it will be easier to say no or limit the rest. Every year, I either create or use a pre-made advent calendar to count down to the big day. 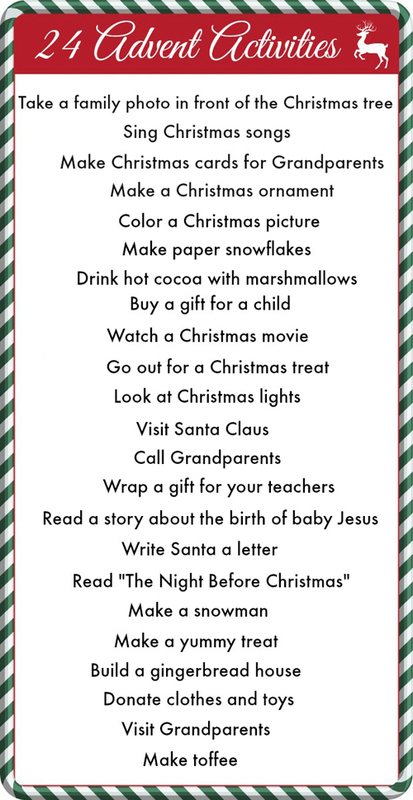 In the past, I've filled each day with an activity for the family to do even if it is just "watch a Christmas movie". But, over the years, I've found that an activity a day, as simple as it might be, it still too much to accomplish each day. Inevitably, I realize I forgot a day or two or three and I'd worry we were "missing" it. Instead of savoring just a few things to do, it could easily become just another thing on the never-ending "to do" list. 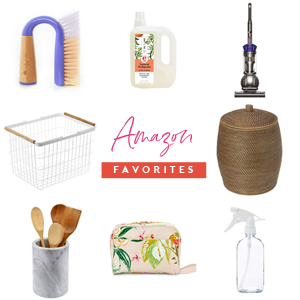 This year, I'm taking just a few of our very favorite things to do and sprinkling them throughout the month, leaving the rest of the days with just a small gift/toy/ornament, etc. Likewise, our "Elf" doesn't come out every night, but will make only a select few appearances before Christmas. I realize this tip may be taboo or controversial to some people who feel like Thanksgiving doesn't get it's full appreciation if we start decorating for Christmas too early. I was a strict "no Christmas decor until the day after Thanksgiving" until recently. It was our family tradition to always put the Christmas tree up the day after Thanksgiving, but I've found getting it up early does no harm to our Thanksgiving at all. We still spend that day eating our eyes out and being thankful for all our many blessings. 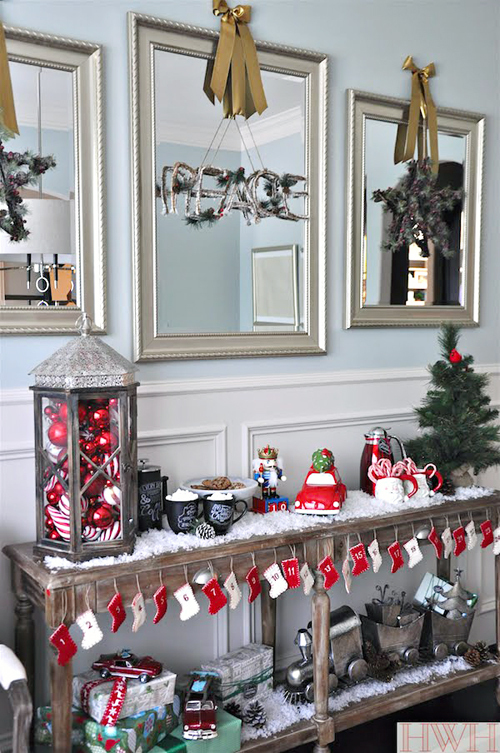 Going back to one of those things on my "enjoy" list is decorating our home and, realistically, to do it justice and create something new each year, takes a long time. And I like to savor it for as long as possible. I chose to decorate our master bedroom in early November this year and turned it into our version of a mini Winter Wonderland. I have absolutely loved it! It's so nice to walk into that room in the evening and see it all lit up with holiday magic. In order to fit all of your "enjoy" moments into the holiday season, it's important to write them down and then plan them into your calendar. If you don't, I'm sure you know it's easy to over commit and then you realize you don't actually have time for everything. 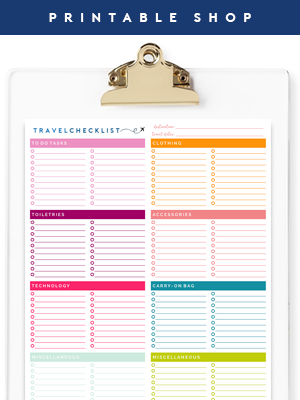 Jen makes the most useful and pretty (free) printables to help you keep everything holiday-related in order. The gift planning guide is especially useful because you can see on paper all the gifts you plan on giving and the budget for everything. If you've taken the time and energy and spent the money to lovingly choose a gift for your loved one, take the extra time to wrap it up in a pretty package and ideally, prepare a nice note! Wrapping gifts takes a lot of time so wrap as you go! Part of my "enjoying" the holidays is turning the lights down in the living room in the evening, lighting candles, and sipping hot cocoa while I wrap gifts. My family might be watching TV, but we're all together in the same room and it feels nice to have this slow time at the end of a hectic day. Number 6 is my bonus tip for you that helps put everything else into perspective. At Christmas-time especially, we want to keep in mind the 'reason for the season' and one way to do that is to give to others, beyond your family and friends. If you have children, it's great to get them involved too, whether it be volunteering, giving toys to those less fortunate, or donating to an organization you feel passionate about. In my town, we like to support our local preschool-aged children with Kids' Meals and in the broader part of the world, World Vision is an organization we also believe in. When you kick off your holidays by doing some small part to help others, you realize just how blessed we all are and the stress of the season seems to take a backseat. From our family to yours, we're wishing you all the love and joy you can possibly stand! My name is Megan and I am a lawyer by day, design and decor lover by night, and Mama to the sweetest two children. I'm passionate about fitness (and chocolate!) and could not live without my relationships, girl talk, and my morning coffee. 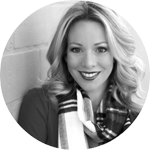 I've been blogging for years over at Honey We're Home, sharing my love of keeping things organized and beautiful at our house. My efforts to live in the moment and cook more are an adventure in progress. Great and helpful list. Your point about even trying to have on activity a day can get to be too much is exactly what happened when I tried to do blogmas last year. I really like these tips! I too think trying to do something everyday is too much. As much as I always want to cram the fun in, it's also so nice just relaxing at home! Thank you for the printables. Also, your house looks so beautiful and festive! I decorate ahead of time. My husband and I love Christmas and want to enjoy it as long as possible. I also don't host Thanksgiving in my home so I don't think it matters much. It also makes me feel less rushed about doing it all. 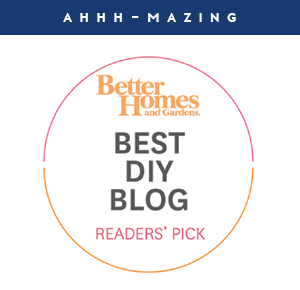 Your home is beautiful by the way! 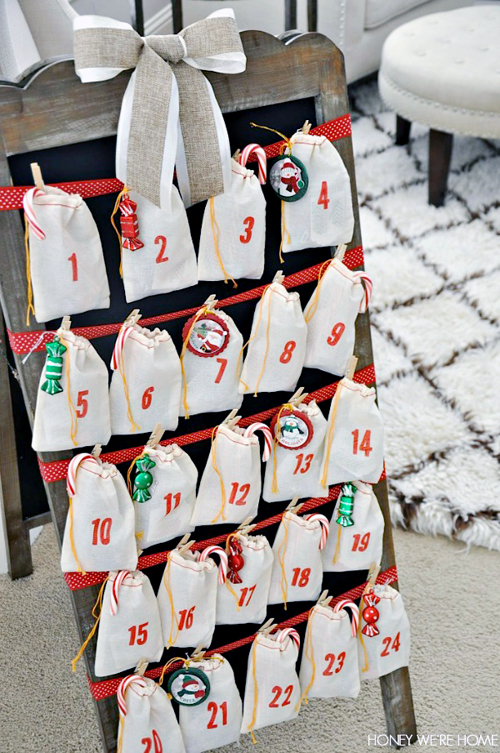 I love your advent calendar idea of mixing activities and small gifts. I would love to do that for my boyfriend! I totally want to start wrapping the couple of things that I have, but I decided to wait until we get home because we're driving 14ish hours to see my family and it seems like a better idea to wait. Fortunately we only do a few gifts between the two of us, so it shouldn't be too bad! I love this. The DIY Advent calendar is my favorite. It's fun to have activities you can do with your kids to really make the season fun. This year, we used a bunch of mini stockings and picked better quality chocolates to really make it special. The kids are enjoying it. It felt like you were reading my mind. I find myself so stressed out and even resenting all I do for others because of how stressful it is on myself. My favorite day of the year is the day AFTER Christmas when it's all finally over and we can sit and just enjoy. Loved all your tips and I will definitely be using them next year to better enjoy the season. ESPECIALLY not moving the Elf every day! Halfway through December I am always regretful I got the thing out and forget constantly. That is brilliant-he's very busy after all! Thanks again. It's nice to know I'm not alone!